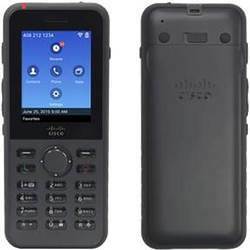 Dimensions: 5.20" x 2.20" x 0.70"
With our rich industry experience in this domain we are able to trade a vast assortment of Cisco IP Phone. Extend your Switchvox Unified Communication system to your desk with easy access to interactive voicemail, real-time status information, call queue details and more. See how the integrated, advanced applications, plug-and-play installation and easy-to-use features provide you with the best user experience for your complete business phone system. - LCD display supports Multi-Language. We are amongst the paramount organizations engaged in distributing a flawless plethora of IP Phones. 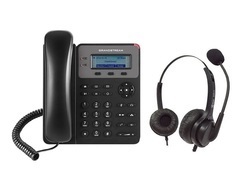 These take advantage of data networks & converged voice and retain the quality of telephone conversation. Moreover, our agents obtain these phones from reliable and trusted manufacturers of the industry. Wireless IP Product is suitable for a wireless environment where cabling is very difficult.